A 2960X switch stack is a set of up to eight stacking-capable switches connected through stacking ports. The entire stack member should use the same IOS version for implementation. How can we know the key stacking modules for Catalyst 2960X switches? Which one is best for your specific needs? In this article we will discuss and compare key features of stacking 2960X switches. Generally, you can stack up to 8 2960-X Switches. When inserting the switches, power down the switch, remove the blanking plate and fit the module in the slot, and install the switch. When power is restored you can use a ‘show inventory’ command to make sure the module has been installed correctly and detected. 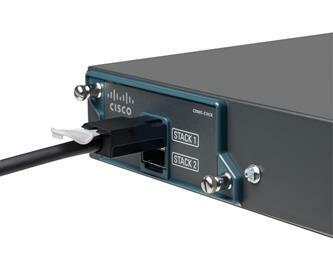 The FlexStack-Plus module is hot swappable and it can be added to any Cisco 2960-X or Catalyst 2960-XR with a FlexStack-Plus slot. It will automatically upgrade to the stack’s Cisco IOS Software version and transparently join the stack switch. In this module you can connect stacking only over copper and provides high bandwidth of up to 80 Gbps between the short distances. The stacking cable for this module is of 0.5m, 1m and 3m length. We can stack between 8 2960-X Switches together through FlexStack-Plus modules. The ring topology helps to ensure redundancy for stacking between the switches. 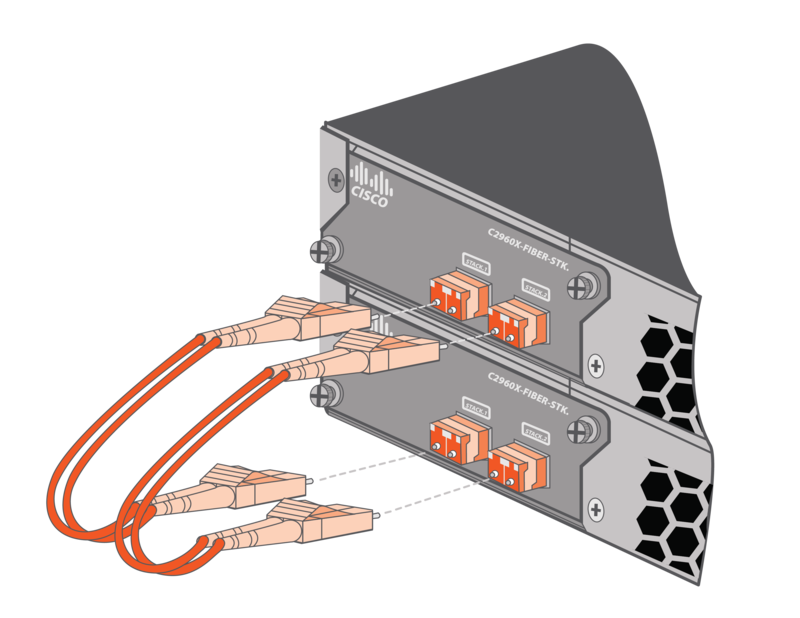 This module allows stacking over Fiber SFP ports. It can provide stacking bandwidth up to 40 Gbps over long distance (Distance limit is base on SPF+ Transceiver). This is not capable with 2960-S switches. It can be stack switches on different floors and building within the campus. Distance all depends upon your fiber cable and SFP+ capabilities. The FlexStack-Extended has two SFP+ ports in the module. SFP+ is supported on both ports. Chooses best appropriate SFP+ transceivers for your network and SFP+ based on the distance required between switches. PivIT Optics is a great option when it comes to compatible optical transceivers and are a fraction of the cost of OEM transceivers with no los in compatibility or functionality. 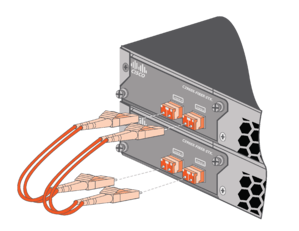 Click here to request pricing or a free demo of our PivIT Optics SFP+ and other compatible transceivers your project may require. 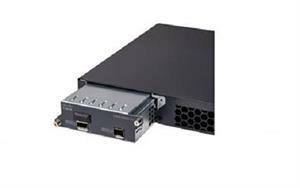 With FlexStack-Extended fiber Modules, the Individual Cisco Catalyst 2960-X or 2960-XR Series Switches can connect even when placed on different floors or in different buildings. Up to eight switches can be stacked together through Fiber module. 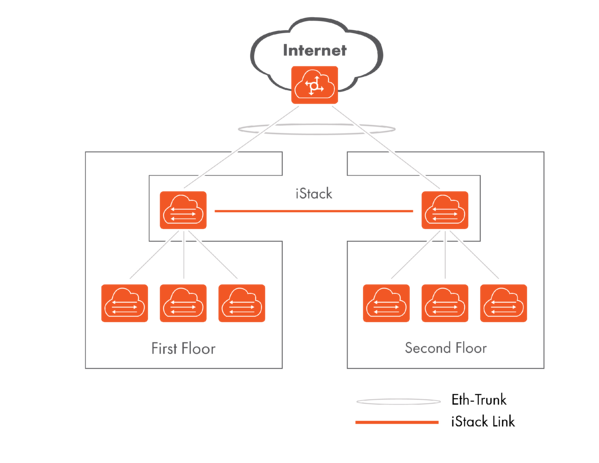 Stacking bandwidth is up to 40 Gbps. Connection between switches in different buildings is an option through FlexStack-Extended fiber module. 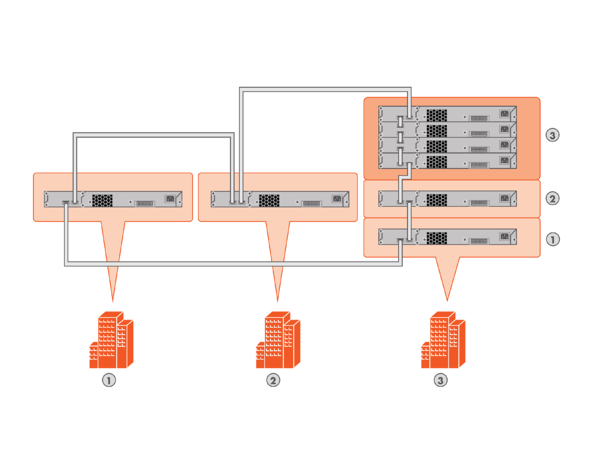 The FlexStack-Extended hybrid module has one SFP+ port and one copper FlexStack-Plus port as shown in the picture below. The SFP+ port allows stacking over long distances (Distance depends upon your SFP+). The second copper port allows us to stack switch with FlexStack-Plus. The copper port support under mentioned cable for stacking. The FlexStack-Extended hybrid module allows for stacking through fiber module and copper module as well. We can connect Fiber module for different floors for long range and also we can connect short range stacking with copper port in the module. 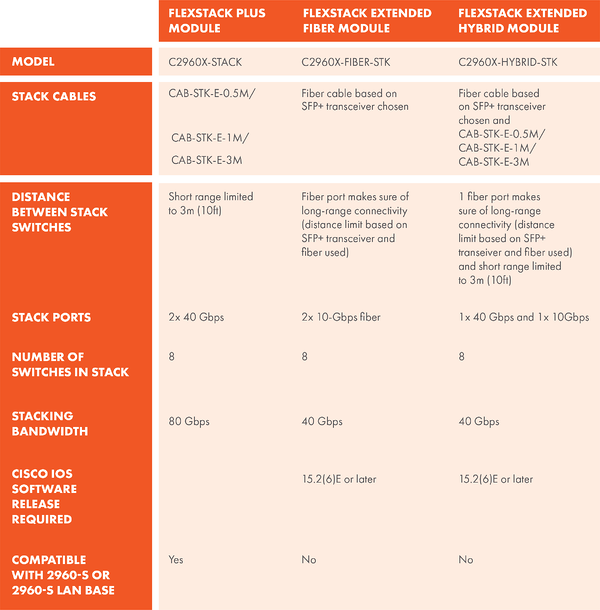 The following table offers a comparison of FlexStack-Plus, FlexStack-Extended modules and FlexStack-Extended Hybrid modules. 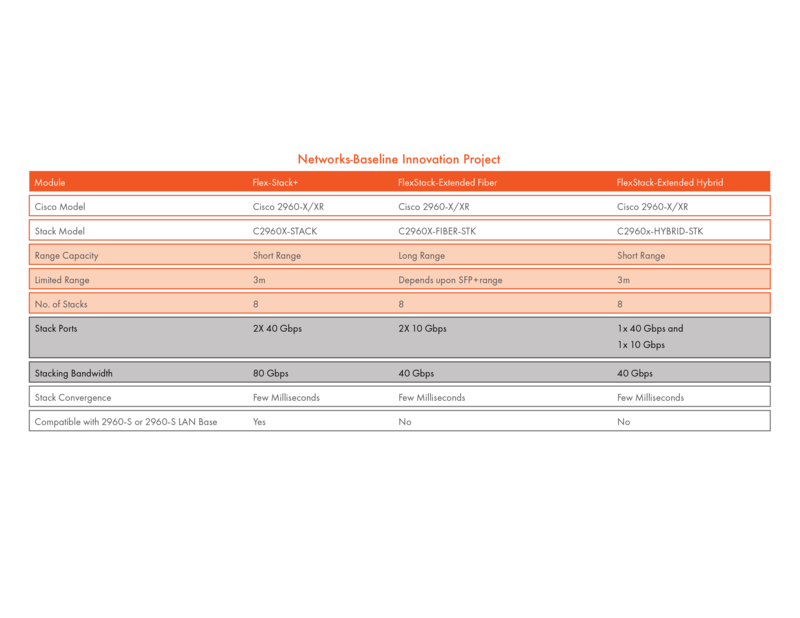 Table1 also shows a comparison of the FlexStack-Plus, FlexStack-Extended modules, FlexStack-Extended Hybrid modules. 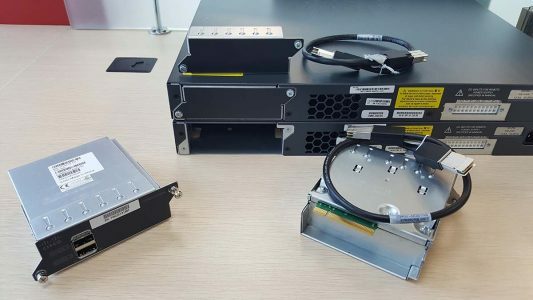 As always, we hope our Cisco 2960X Stack Comparison was useful and that you found the information you were looking for. Now that you’ve read the comparison of these switcheswe’d be happy to help you select the best one for your project or upcoming data center needs. Click here to let us know you’re interested and to get budgetary pricing for your needs. Not quite ready to request a quote? No worries at all, remember to reach out either on our website PivITGlobal.com or give us a call when you’re ready, (888) 747-4847. Our blog exists to offer you the information that you care about. Find product comparisons, features analysis and opinion pieces on everything related to the data center.